240 pages | 368 Color Illus. Whether you are a professional in the field, or a student looking to break in to the industry, this book will provide you with secrets and information that you cannot find anywhere else. Gretchen Davis is a highly sought after makeup artist and writer for the entertainment industry, where she has worked for high profile clients in film, television, and digital media as a personal or department head. In 2012 Gretchen was nominated for an Emmy highlighting her work on Hemingway and Gellhorn. Some of her clients have included Cate Blanchett, who in her Oscar’s acceptance speech thanked Gretchen personally, Gerard Butler, Jonathan Groff, Russell Tovey, and Rob Lowe. Gretchen also keyed projects like feature films Milk, Steve Jobs, and NBC’s Trauma. She has been featured in SF Magazine, where critics praised her work on the film, Blue Jasmine. She has also been featured on various blogs and in print articles. 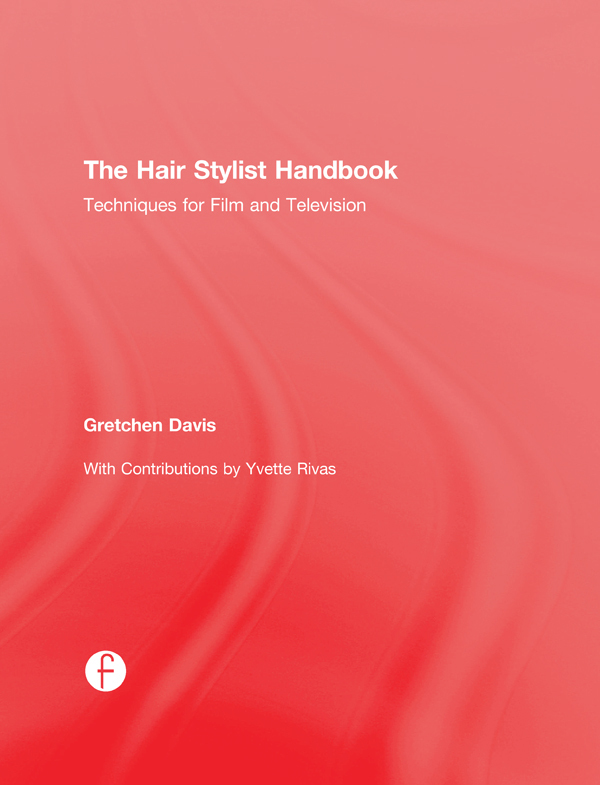 Yvette Rivas is a freelance hairstylist with a long history in the entertainment industry. Her experience includes contributing to the design of dolls in the likeness of the Spice Girls, Britney Spears, Kate Winslet, and Pamela Anderson. Yvette has been a department head for films, television shows, web series, and national commercials. She is also a Primetime Emmy nominated hairstylist for HBO's Hemingway & Gellhorn, and was recognized at the Oscars for her work in Blue Jasmine.